Crafting furniture from tree limbs is an art, not a structured science. Basic plans for a variety of types of furniture are available online or from local woodcraft stores or home and garden centers. While these plans will serve as a guide, the wood harvested for the project, the individual characteristics of the limbs and the creativity of the craftsman will determine the outcome of the project. The do-it-yourself woodworker will find great satisfaction in fashioning furniture in the tradition of the pioneers. Experiment and enjoy the process. Harvest the wood. When choosing tree species for crafting furniture from tree limbs, there is no limitation on species or variety. Choose a variety with the characteristics that will meet your design intentions. Look for burls, twists, snags and bends that give the limb or branch visual interest and will adapt to your woodworking requirements. Diamond willow, birch, pine, elm, pecan, box elder, maple, cedar and most species of pine work well in tree limb furniture designs. Limbs are easiest to work with immediately after cutting. Depending on the size and location of the tree, limbs may be harvested with a chainsaw or handsaw. Measure a piece of commercial furniture and apply the measurements to your project after you decide the type of furniture piece to craft. Cut the limbs to size with a hand or table saw. Remove excess twigs, leaves and branches with a pruning shears, small hand saw or small chisel and rubber mallet. Use a hand sander with 100-grit paper to remove splinters and rough spots. Select tree limbs that are firm and nicely formed. Avoid limbs that are decayed or show signs of rot or insect infestation. Choose limbs that are strong enough to support weight if selected for a chair or stool. Decorative trim pieces may be of a lighter weight or thickness, but legs and supportive limbs must be sturdy and strong. Shape mortised tendon joints with a hatchet. After fitting the joints, wrap the joint with leather strips that have been soaked in water. As the leather dries it will shrink, forming a tight and snug joint. Cut tree branches and limbs in early spring when the sap starts to rise in the wood. If you wish to peel the limbs of their bark, the bark is easiest to remove at this time. 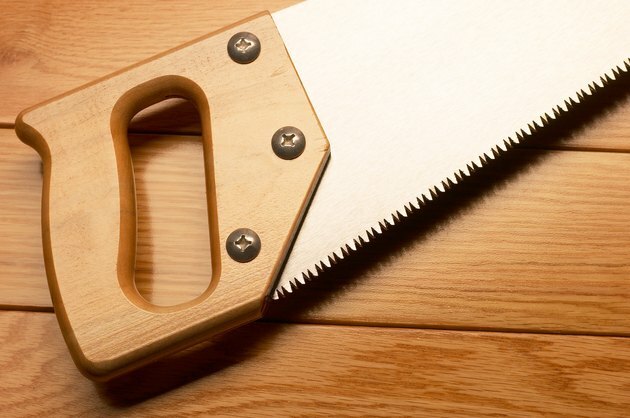 Remove bark with a sharp drawknife, small wood plane or scraper. 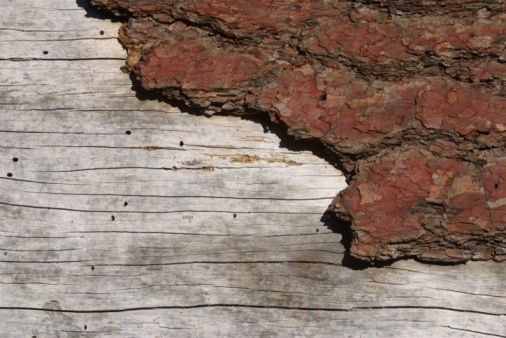 Bark has no effect on the structural integrity of the finished piece of furniture. Some woodworkers choose to "skip-peel" limbs, a method that only removes some of the bark and leaves a portion of the bark attached to the limb to produce a more rustic finish. Scrape using short, firm strokes. Apply even pressure so as not to cut too deeply into the wood. Remove bark before assembling the project. Soak branches or limbs in water to keep them pliable until you are ready to fashion them into furniture. Box elder and willow limbs are easy to braid and manipulate when soaked for 24 to 48 hours after cutting. Shape the limbs as simply as possible for their intended purpose, such a rounded chair back or curved arms on chairs or sofas. Do not overly stress the wood to avoid breaking when dry. Bent twigs can be secured with screws, or lashed together with leather.